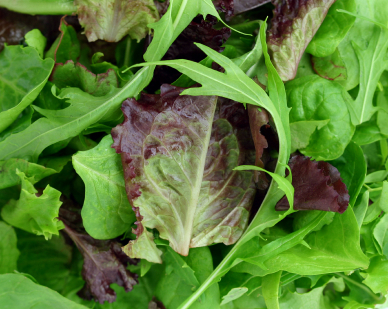 Maybe you’re one of those people who really enjoys a good mouthful of salad greens . . . with that non-fat, tasteless dressing on the side. I am not one of those people. Ask my mother. She can relate countless episodes of trying to force me to eat rabbit food with that awful thousand island dressing no one on the planet actually likes. I do love a good salad, but it has to be done right. You know the kind. With mushrooms and tomatoes and cucumbers and green onions and the odd crouton and grated cheese on the top. Dump some kind of homemade creamy dressing on it and mix it all up and I’m good. The meat and potatoes of your story need the salad greens too. Those descriptors: the boring rundown of what the landscape looks like, the detailed checklist of your main character’s every freckle and eyelash, the in depth analysis of the bad guy’s psyche. Yeah, that stuff. Except it doesn’t need to be a blah salad with nothing but lettuce. You’ve got to add the mushrooms and tomatoes and all those yummy ingredients. Stress. Urgency. Unease. Apprehension. Anxiety. Fright. Horror. Excitement. Whatever form it takes. You need to build tension into even the dullest of scenes. Trust me on this. Your story has to keep moving, even in the midst of those descriptor paragraphs. And if the paragraph doesn’t move the story along, fix it or delete it. You need to be brutal as a self-editor. No one wants to read six pages about how pretty the flowers in the meadow look. No matter how you say it, you’re still talking about pretty flowers in a meadow. Boring. Now, if you have one tiny patch of those flowers growing with some wicked looking four-inch thorns on them, you might catch the reader’s attention. Otherwise, they’re just going to skip those pages. And if the reader doesn’t care to read them, why put them in? Oh yeah, about those thorns – they shoot themselves at anyone who passes too closely, so watch out.